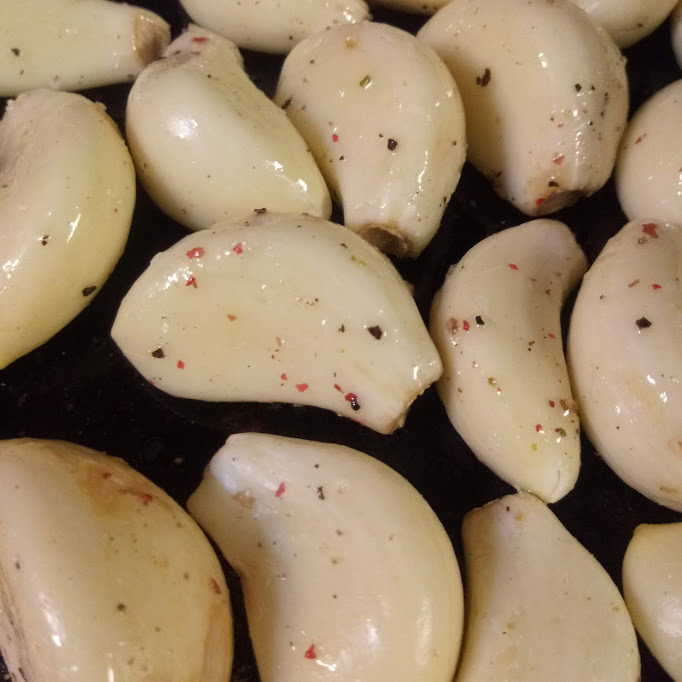 It is fairly easy to roast garlic cloves in the oven. 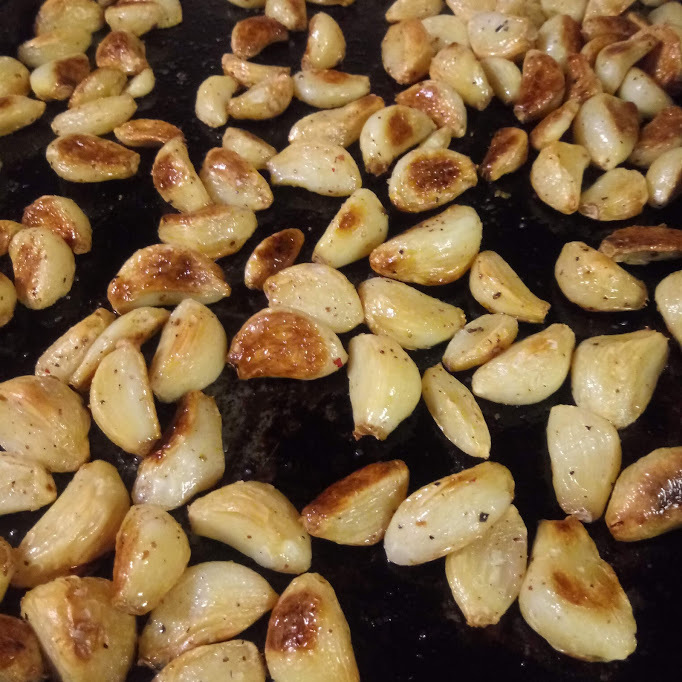 Taking the time to roast garlic cloves in the oven adds both depth and flavor. 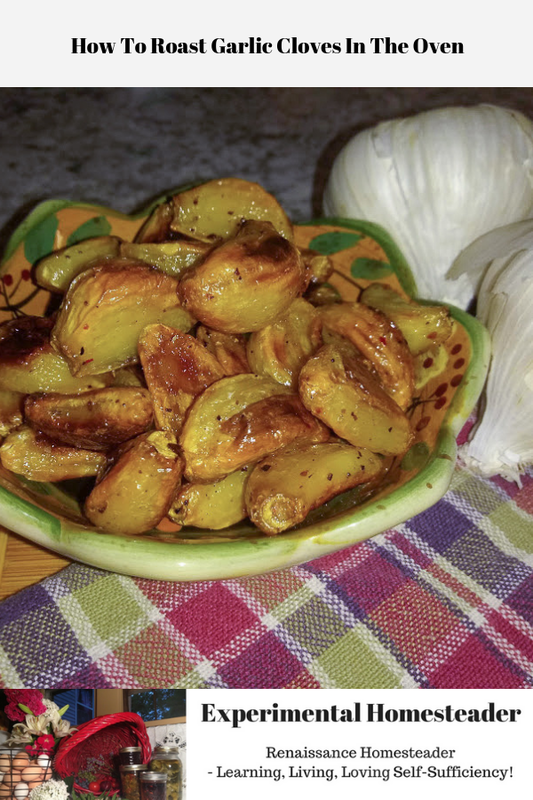 Roasting garlic caramelizes it not to mention makes the garlic taste milder and sweeter. 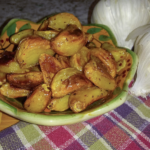 Roasted garlic really changes the overall taste of a recipe as well and I personally love using it in tomato based sauces such as spaghetti sauce or pizza sauce. 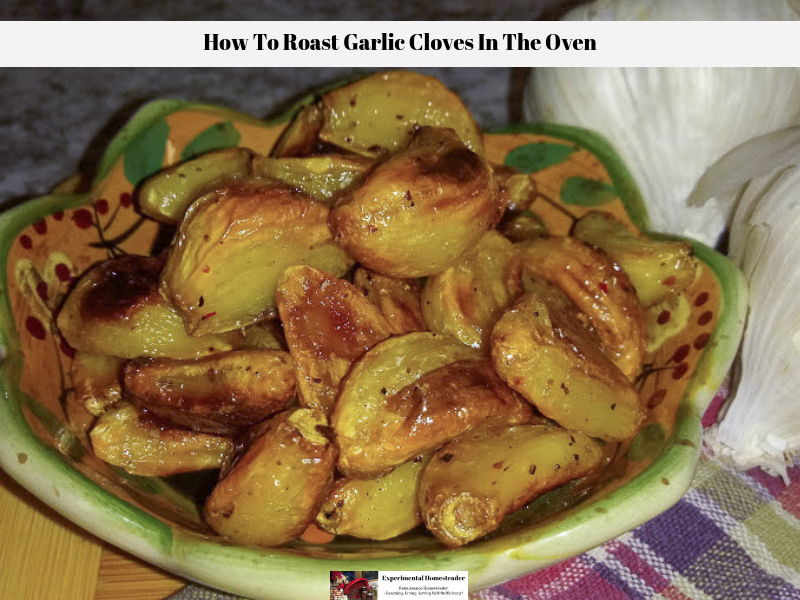 Here is how to roast garden cloves in the oven. Peel the garlic cloves and place them on a cookie sheet. Take the peeled raw garlic cloves and toss them in avocado oil. 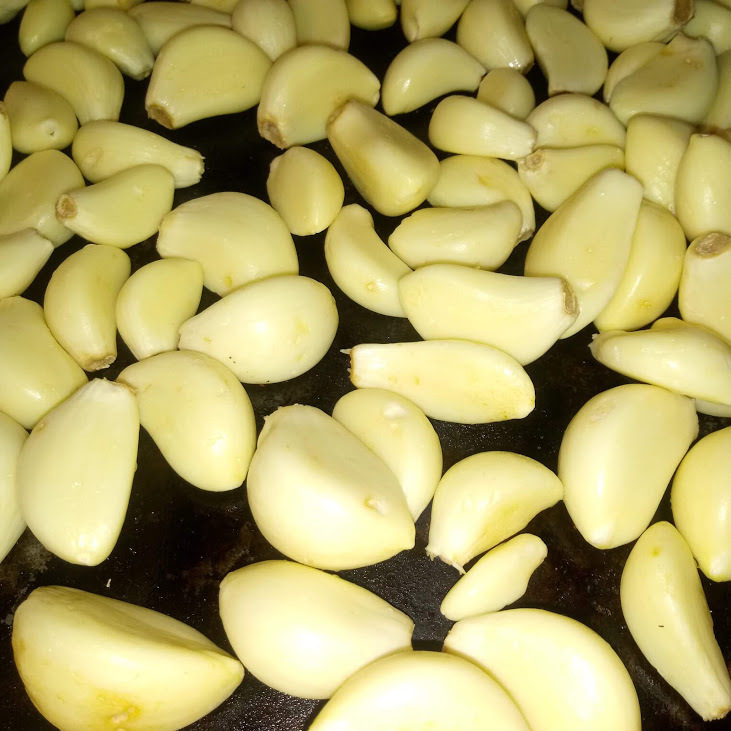 The amount will vary depending on the amount of garlic you are using, so eye this as you want the garlic cloves to be completely coated in oil. 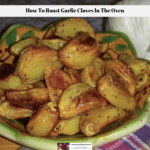 Once the garlic cloves are tossed in the oil, spread them out on a cookie sheet in a single layer. Generously sprinkle the garlic cloves with kosher sea salt and the freshly ground peppercorn medley mix. Once the oven is heated, place the cookie sheet containing the garlic cloves on the third rack from the top. Bake the garlic cloves in the oven for 40 minutes or until they are soft and have a paste-like feel. They should still hold their shape. 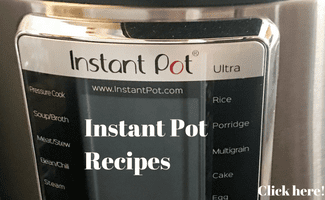 If they need to bake longer, put them back in the oven for 5-minute increments until they are soft. When the garlic cloves are done, remove the cookie sheet from the oven and allow the garlic cloves to cool. There is nothing hard about roasting garlic in the oven and if you have had it, you know how good it is. In fact, I have never seen roasted garlic on it’s own for sale in any grocery store, so doing it yourself is the only way I know to get it. 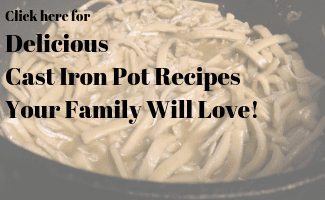 While it is true you can buy sauces and other items with roasted garlic as part of the overall recipe, sometimes making your own food from scratch is what you want to do. 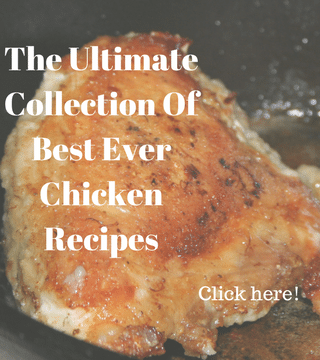 I hope you will give this recipe a try! 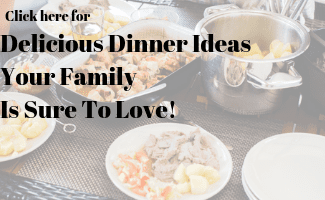 Feel free to leave your questions or comments below!